These are our most popular lights. 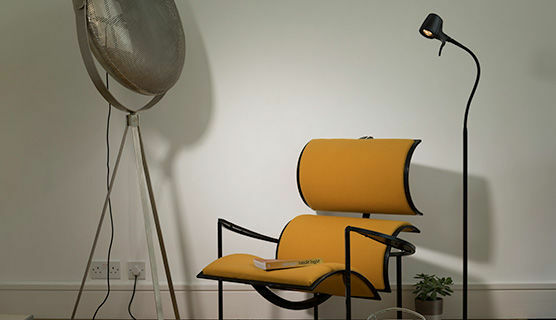 They can be positioned behind your favourite reading chair, and adjusted exactly to the right height to provide you with perfect light distribution for your chosen task. The larger base width ensures that your light stays stable on the floor and means that you can easily adjust the light with one hand. 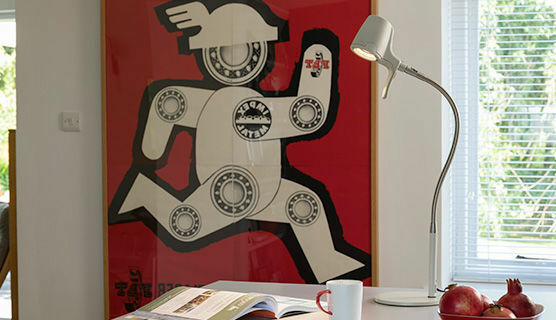 A Serious table light is the ideal choice if you would rather position your light on a side table, for example in your bedroom, if you have a desk in your study, or a table near your favourite reading chair in your lounge. The base is lighter and has a smaller diameter than the base of the floor light, making the table version ideal for areas where space is tighter.